Laser Die Board Cutting Machine (S-III) comes with graphic support of softwares like BMP, PLT, DST, DXF, etc. We are reliable Importers, Suppliers and Exporters of Laser Die Board Cutting Machine (S-III) from Gujarat. 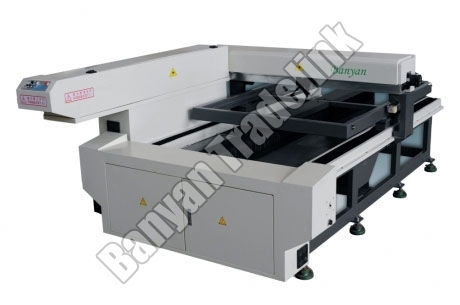 These Laser Die Board Cutting Machines (S-III) are used for die cutting of 18mm plywood and has Japan Servo Motor (Panasonic) as the main driving system.